UpChoose is the most sustainable, healthful and accessible way to get adorable baby clothing for the new generation. Our mission is to make it easier and more accessible for all moms to make mindful choices, starting with baby clothing. We’re here to help you spend your money in a way that works better for your health and our planet. You’re getting adorable clothes for your baby while saving money, reducing clutter and helping to protect our planet at the same time. Parents always want the best for their children, but don’t have time to do in-depth research and make well-informed choices on every single issue. 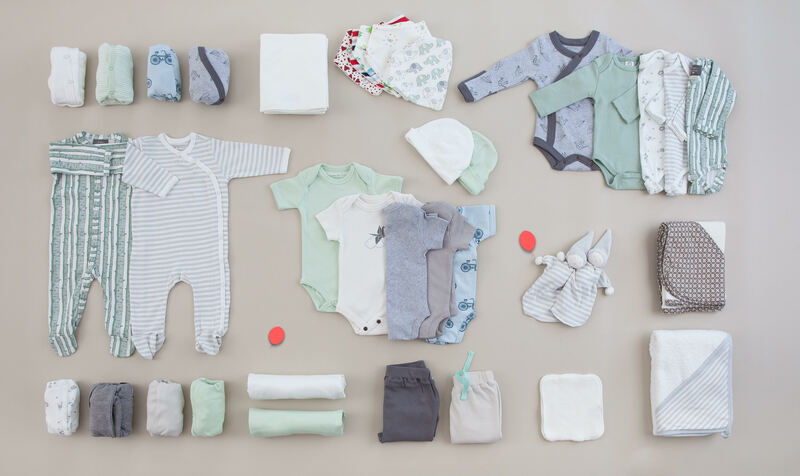 This is why, to form our sets, we have developed a proprietary scoring model to curate the healthiest fabrics for baby skin and best-performing brands on sustainability criteria. All the clothes inside the UpChoose set are 100% made of organic cotton and certified by the Global Organic Textile Standard (GOTS), the world’s leading processing standard for textiles made from organic fibers. Organic cotton is grown naturally and sustainably, without herbicides, pesticides or any other harmful chemicals. We know how overwhelming parenting is, so we designed UpChoose to save you time and money, and offer you a joyful and hassle-free way to adopt a more sustainable form of consumption by receiving at your doorstep, at each phase of your baby’s growth, a curated set of essential, healthful baby clothing. By getting the right amount in the first place, and returning the clothes when your baby grows, you pay less and avoid having money sleeping in your closet. When your baby outgrows your first set, you can re-sell it on our platform and order the next one new or pre-loved at a discount from another family. By doing that you end up spending less money on products you will use for a short amount of time only, while avoiding clutter and helping to protect our planet at the same time.